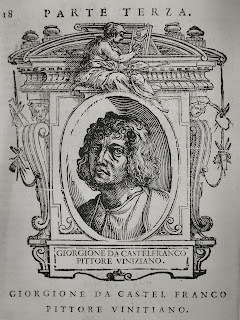 In his famous Lives of the Most Eminent Painters, Giorgio Vasari included a brief account of the life and work of Giorgione, and featured it prominently right after the biography of Leonardo da Vinci. Born in 1511 Vasari was not a contemporary of Giorgione’s, whose life had been tragically cut short the year before by the plague. 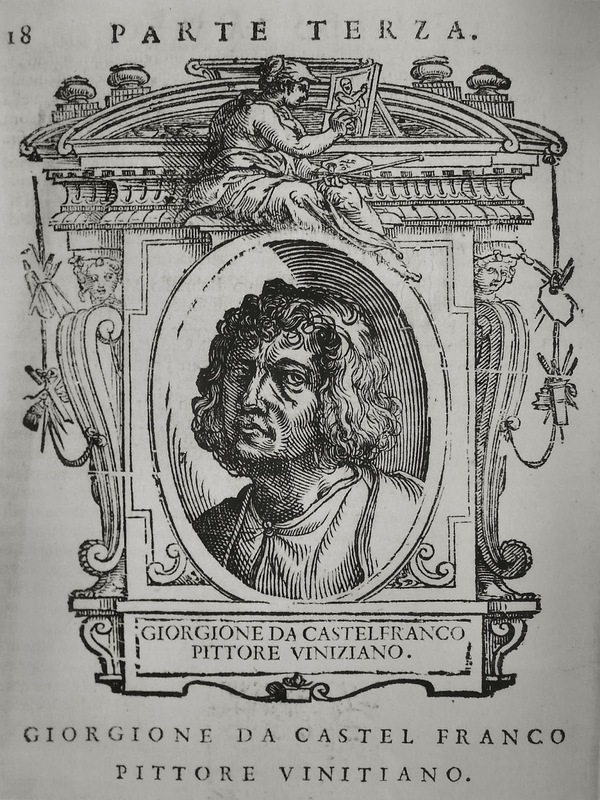 Although brief, the Giorgione biography was given much prominence because of Vasari’s high opinion of Giorgione’s work and importance. It began with this introduction. Vasari credited Giorgione with the development of a new style or manner of painting from nature. What was the basis for Vasari’s evaluation? We know that he visited Venice on at least two occasions, and it is clear that he saw Giorgione’s work on the Fondaco dei Tedeschi. He said that in an Ascension Day procession he saw a Giorgione portrait of Leonardo Loredano as Doge that he believed himself “to behold that most famous Prince himself.” He also saw and attributed to Giorgione the famous painting of Christ Carrying the Cross that is still displayed in the Scuola of S. Rocco in Venice. It is hard to determine what other works of Giorgione’s he might have actually seen with his own two eyes. Most of Giorgione’s work was done for the homes of private aristocratic patrons, and it is hard to determine if Vasari had access to those homes. Vasari often relied on others for descriptions of paintings he had not seen. For example, here is his description of three Giorgione paintings in the home of the Venetian Cardinal Grimani, an avid patron and collector. 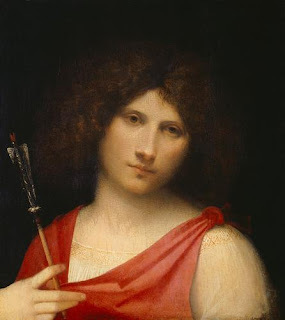 Vasari’s sources might have included Titian and Sebastiano Luciani, later called Sebastiano del Piombo. Both of these painters had worked with Giorgione at the outset of their careers. Vasari visited Titian in his studio in Venice, and also in Rome, in the company of Michelangelo, during Titian’s brief sojourn in that city. After Sebastiano left Venice for Rome shortly after Giorgione’s death, he developed a working relationship with Michelangelo. Given Vasari’s close friendship with Michelangelo, he must have had frequent contact with Sebastiano. So, although not a contemporary of Giorgione’s, Vasari had seen some of his works and talked with at least two contemporaries who knew the master at the height of his brief career. In addition to the descriptions of others, Vasari had some drawings by Giorgione in his own collection. Vasari was an accomplished painter and a skilled observer but by the time he visited Venice, Giorgione had already become a mystery. Despite these first hand observations and excellent sources, scholars today tend to take Vasari with a grain of salt. Nevertheless, Vasari is the source of most of what we know about Giorgione. He related the story of Giorgione’s tragic death of the plague. 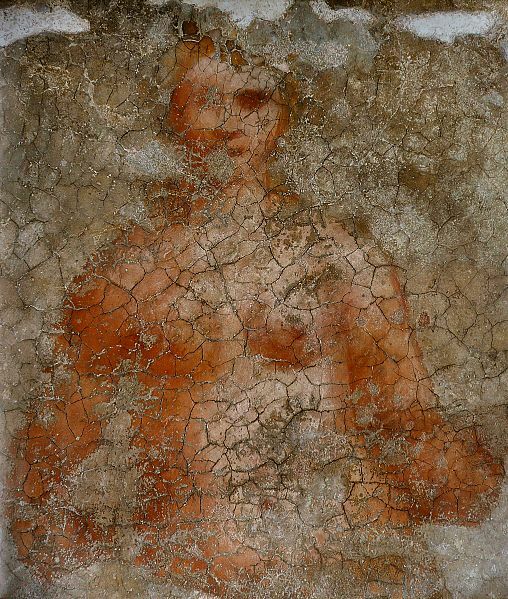 He gave us the well-know “paragone” story in which Giorgione rebuffed the advocates of sculpture by showing how he could represent all the sides of the human body on a flat surface. 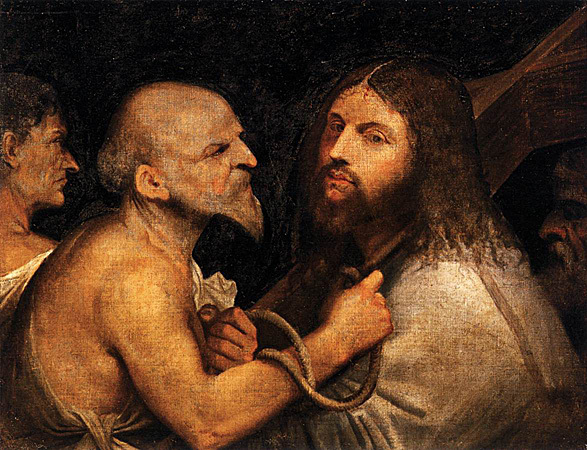 Vasari also gave us the account of the friction between Giorgione and Titian after their collaboration on the Fondaco dei Tedeschi. After Vasari there is no other contemporary source for the life and work of Giorgione. 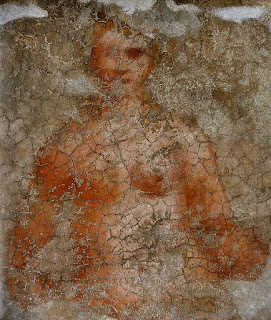 To fill out the story we will have to look at the paintings and try to solve the mysteries by trying to see them as a contemporary Venetian would have seen and understood them. The paintings are the best primary sources for Giorgione. * All quotes are from Giorgio Vasari, Lives of the Most Eminent Painters, selected, edited, and introduced by Marilyn Aronberg Lavin, Volume II, New York, 1967.